Social Security (“SS”) benefits make up the bulk of many Americans’ retirement income. In fact, according to the Social Security Administration’s website, in 2014 52% of married couples and 74% of unmarried persons received 50% or more of their income in retirement from Social Security. According to this same report, 22% of married couples and about 47% of unmarried persons relied on Social Security for 90% or more of their income. With SS benefits averaging $1,371 per month, it might seem that these folks are destined for a frugal retirement. Not necessarily. One way to maximize how far these dollars stretch is to relocate to a more affordable location during retirement. And you don’t have to stay stateside. There are a handful of retirement options just a south of the border. Home to cloud forests and clear blue seas, Panama is a stunning oasis for retirees looking for an exotic place to call home. And you don’t have to wealthy to enjoy the riches of this country – your SS check will be plenty here. To get started, take a look at Panama’s Pensionado program. 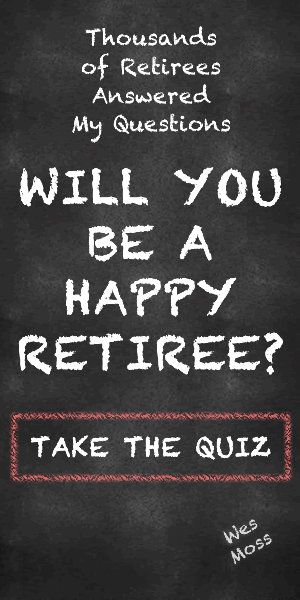 Under it, anyone over the age of 18 can apply for retirement-based residency. You just have to meet the meager income test of having $1,000 a month or more in guaranteed, recurring income. Once you are approved for residency under the program, you’ll be eligible for even more perks, such as discounts on things like utilities, personal loans, and even a 25% saving on airfare to your new home. What’s more? You’ll be exempt from paying import taxes on items brought from the US to set up your house. With just you SS check, you could live in the thriving city of San Jose de David, which boasts a growing expat community and incredibly affordable living expenses. For a downtown one-bedroom apartment, you’ll pay a mere $330 per month. Add in utilities, Internet and cell service, and you’re looking at an additional $85 (not including the Pensionado discounts, which could save you even more!). Tally up things like groceries, bus rides, dining out, movie nights, and a gym membership, and you’re looking at only $880 per month. With its diversity of climates and environs, from warm beach weather on the coast to temperate, year-round spring in the mountains, Ecuador is an affordable paradise for any retiree. And there’s more. Ecuador straddles the equator, making it home to consistent 12-hour daylight year-round. For your residency application, you need proof that you have at least $800 per month in consistent income. Once you receive either temporary or permanent residence, you become eligible for many of the perks that Ecuadorean retirees receive, such as free healthcare, exemption from some local taxes, and a 50% discount on roundtrip airfare. Some recreational activities are also discounted, like movie tickets and entry into museums. Check out the city of Cuenca. This gem has both the convenience a modern city and the charm of the Old World. An apartment in the city’s center with one bedroom will run you just $335 per month. Add in your utilities, Internet and cell service, and you’re looking at another $85. Add in groceries and all the extras, including dining out at nice restaurants and taking in all the city has to offer, and your average monthly expenses will fall at just around $890 per month. Just south of the border is culture-rich Mexico, known also for its Pacific and Gulf of Mexico beaches, and the varied landscapes of deserts, mountains, and jungles. There you can find ancient ruins, like Teotihuacán and the Mayan city of Chichén Itzá, and Spanish colonial-era towns. Because it is our closest neighbor on this list, Mexico is a perfect choice for many retirees. Its proximity lends well to frequent trips back to the states to see the grandkids and celebrate holidays. To receive residency, you simply have to show that your regular monthly income is at least $1,300 over the past six months. Once approved, you are eligible to enroll in the Instituto Nacional para las Personas Adultas Mayores (INAPAM) program. With the little plastic membership card, you’ll gain access to discounts on a spectrum of goods and services, like public transportation, restaurants, airline tickets, property taxes, water bills, and even health care. Consider Chapala, a lakeside town with low cost of living, an idyllic climate, and a thriving community of expats. In fact, Lake Chapala has one of the highest expat populations outside the US, with transplants from Canada and the US, many of whom speak little to no Spanish. Here, a city-center one-bedroom apartment is just $150 per month. Utilities, Internet and cell service come in at only $75. And food is equally affordable; a typical monthly grocery bill can cost as little as $135. All total, your average monthly budget in this sunny city, with entertainment and dining out, comes to just $675 per month. Check Out: What Age Is Best To Claim Social Security?